Want To Control Your TV With Your Phone? - Are You Screening? Admit it: you’re on your phone all the time. For many of us, it’s the first thing we check on in the morning (those emails aren’t going to answer themselves!) and the last thing you look at before you go to bed (just need to double-check that that alarm’s been set). Studies have shown that we now spend 23 days a year on our phones, and as we continue to get even more functionality out of our phones, that number continues to grow. You probably use your phone as your enter the cinema, and whip it out as soon as the movie’s over too, and contrary to popular belief, we use our phones at home as much as we do while on-the-go. AlchemyBet, owners of Pocket Fruity, explained in a blog post that the majority (69%) of the people who used their mobile phones for gaming and other recreational activities actually preferred to do so while lounging on their couches, with their TVs running in the background. 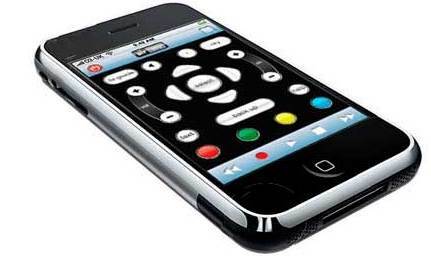 If you’re one of those people, you may have wished that you could use your phone to switch the channel at some point. After all, that pesky remote control is always disappearing, isn’t it? And at least this way, you’d only have one device in your hand. The surprising truth is that this is entirely possible. Yes, you can, as a matter of fact, turn your smartphone into a remote control for your TV. The catch? Your smartphone will only work with a smart TV. That, and there’s no such thing as a “universal remote app” that will let you use your smartphone to control any smart TV on the planet. Apple makes it remarkably easy with the Remote app, allowing you to control your Apple TVs from wherever you are in the house with the use of your iPhones and iPads. It even lets you control iTunes on your TV and lets you navigate your libraries easily, and the power to create the perfect visual experience will be right at your fingertips. Google TV isn’t quite as seamless. Google provides two distinct apps that should allow you to control your Android TVs: the Google TV Remote App, which works quite well on Google TVs, and the Android TV Remote Control, their companion app for all the Android TVs out there. Unfortunately, the latter is clunky, and many users have complained that its limited functionality severely affects their use of the app, as keyboard support remains to be quite poor. But then again, these are the only apps available for people who want to use their phones as remote controllers for their smart TVs, and while there are dozens upon dozens of other apps promising to let you control other kinds of TVs with your phone, most users have downloaded them and been left utterly disappointed. Ads, spam, and unnecessary permissions have all plagued these “universal remote control” apps. Of course, if you actually wanted to watch TV on your phone, there are several ways to do it. The US TV & Radio Free App lets you stream and record unlimited channels on your smartphone or tablet, and Comcast has its own app for its subscribers which lets them access XFINITY On Demand shows wherever they may be. It even lets you record and download your favorite shows to your device if you want to watch them later when you don’t have internet connectivity. Mobile technology is amazing, isn’t it? Still though, wouldn’t it be great if we could do everything with our phones? With Google reportedly being too busy to fix a bug affecting a billion handsets, we may have to wait a while for them to get their remote control apps fixed. Until then, we’ll have to sit around using our old remote controllers instead. Carl Atwin is nothing short of a film fanatic, and he enjoys nothing more than sitting down in front of the big screen, taking down titles of upcoming movies he’d like to see as their trailers roll by. When not catching a new film, he enjoys TV series and the occasional reality TV show (don’t judge). While sorely disappointed by Taken 3, he remains a huge fan of Liam Neeson and would love to meet him someday.